Home / PUPS ON SUPS! THANK GOD IT’S FRIDAY! Rashies Have Arrived in Support of SAFE INC! 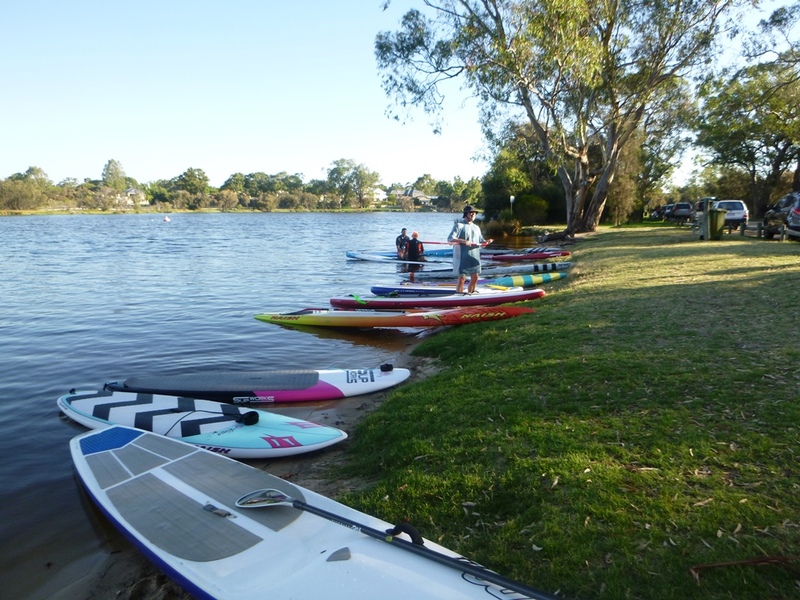 SUP TONIC GIFT VOUCHERS Beginners SUP Classes Group Bookings for your Special Event! 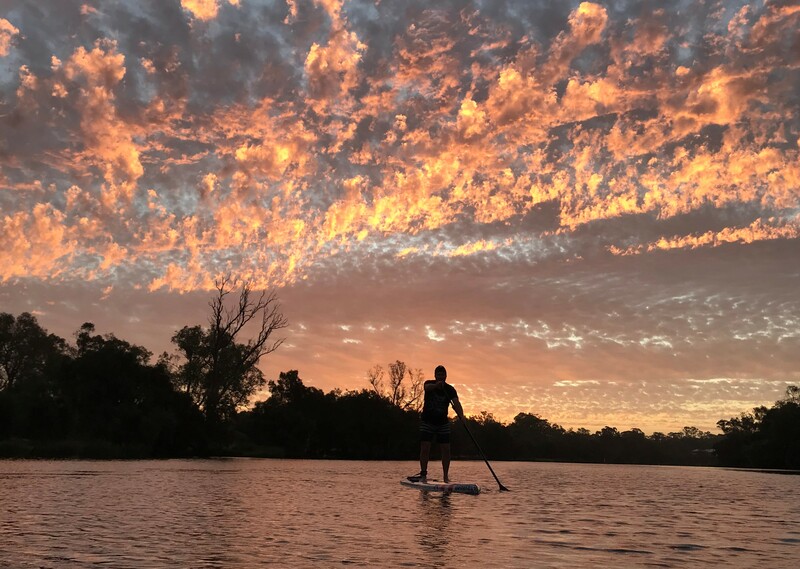 SUP TIMETABLE WEEK ENDING SUNDAY 28th APRIL MEMBERS TRAINING SESSION Stand Up Paddle at Twilight PUPS ON SUPS! I’m really excited to offer the first ever session where you can bring your pooch along for double the fun in a group session. 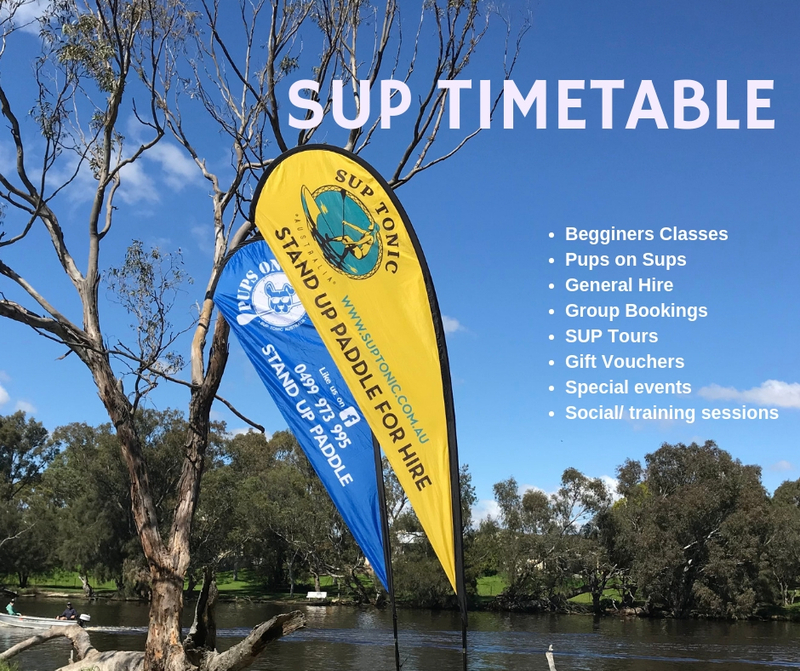 It’s one way to spend time with your pooch and have a load of laughs…anything could happen and usually does, check out the YouTube video of our first Pups on Sups class! 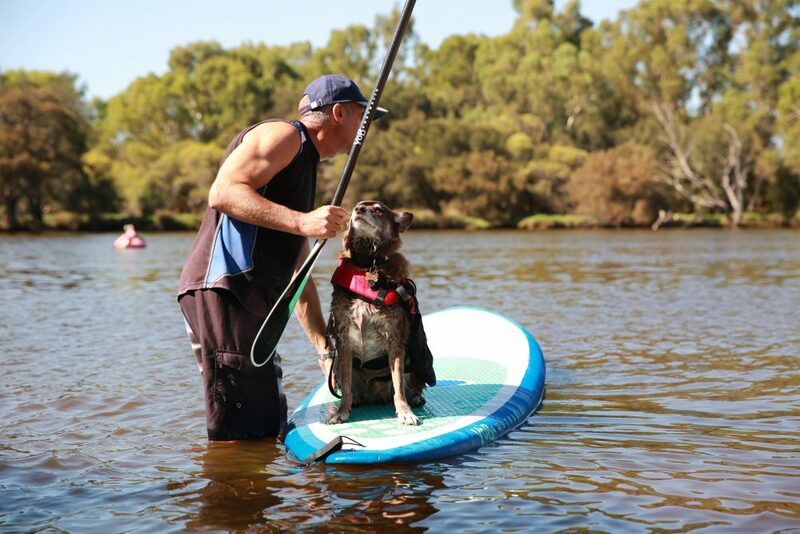 If you haven’t paddled before we recommend a SUP lesson or hire a board prior to attempting with your pooch. Please contact me to discuss your options. 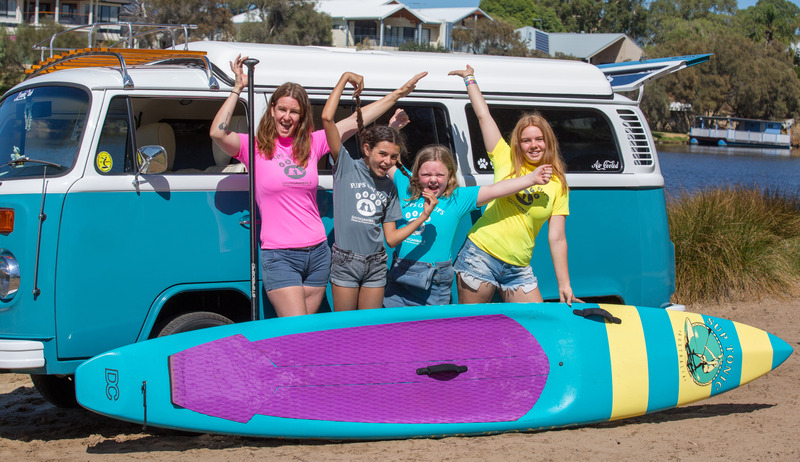 We provide sup boards, paddles and leg ropes. It is advisable to deck your dog out in a special safety harness with a handle on top if they are not strong swimmers. You won’t be paddling far and you’ll be close to the beach. If your dog loves the water and can swim you may decide that the harness is not necessary. Bring some treats with you as a reward for good doggy work! If your dog is not trained or socialised please consider whether this will be a suitable activity for you both. 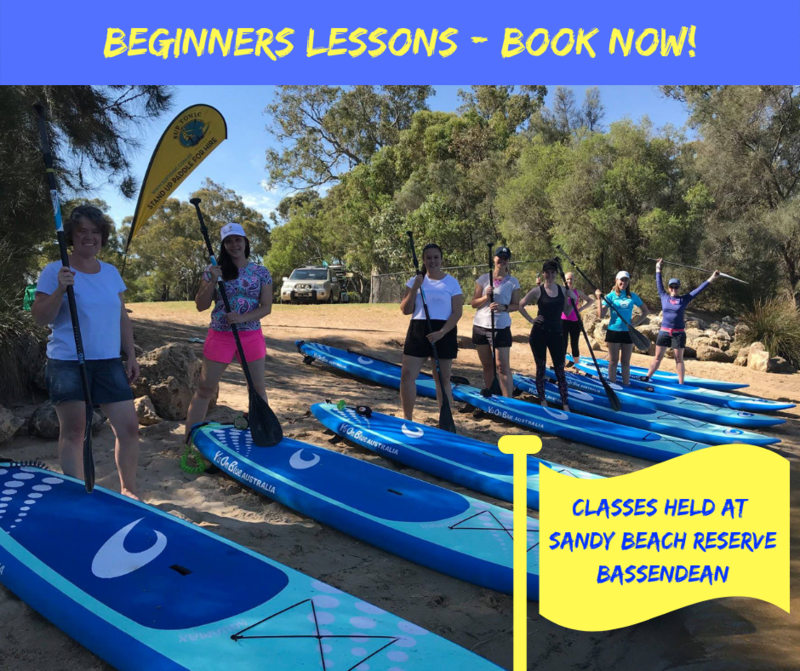 You may wish to book a one to one lesson first to see how your buddy will take to the water on a sup and practice some tips to encourage familiarity and confidence before joining a group. 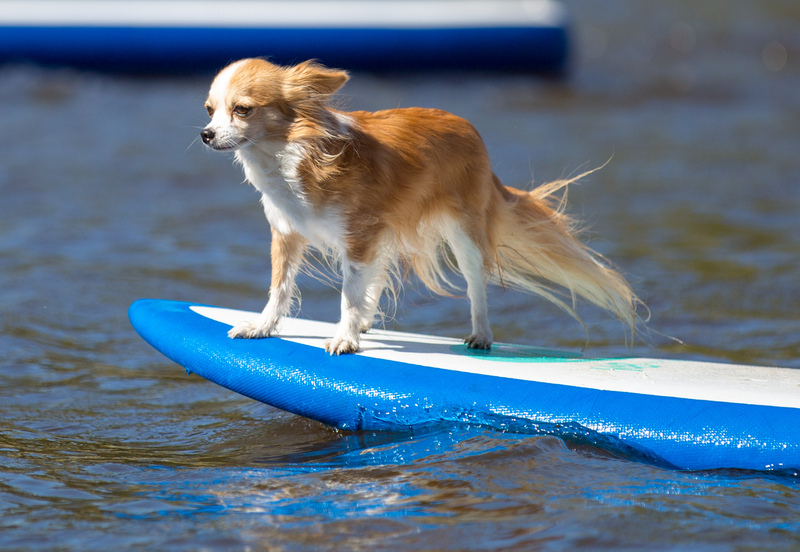 Please ensure that your dogs nails are trimmed to avoid damage to the paddle boards. You will need to sign a disclaimer prior to each session. $25.00 p/p per hour includes board hire. Booking is essential. *Please note that the time and location is subject to change depending on weather conditions and local events.